I've started commuting to work via bike. This is a good thing because I no longer have to discretely eat my donut crammed in between strangers on the subway. Although, I have to admit, biking-and-eating isn't exactly easy either. 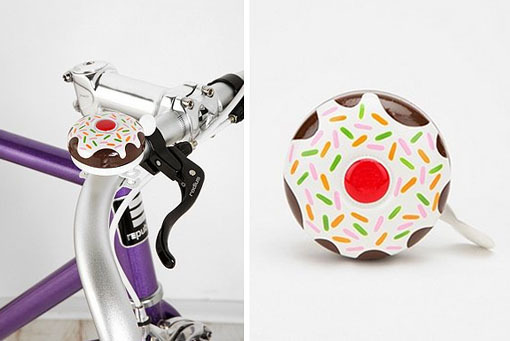 The good news is that this Cupcake Bell Designed by Annie Legroulx serves as some nice eye candy until I can eat breakfast in safety.